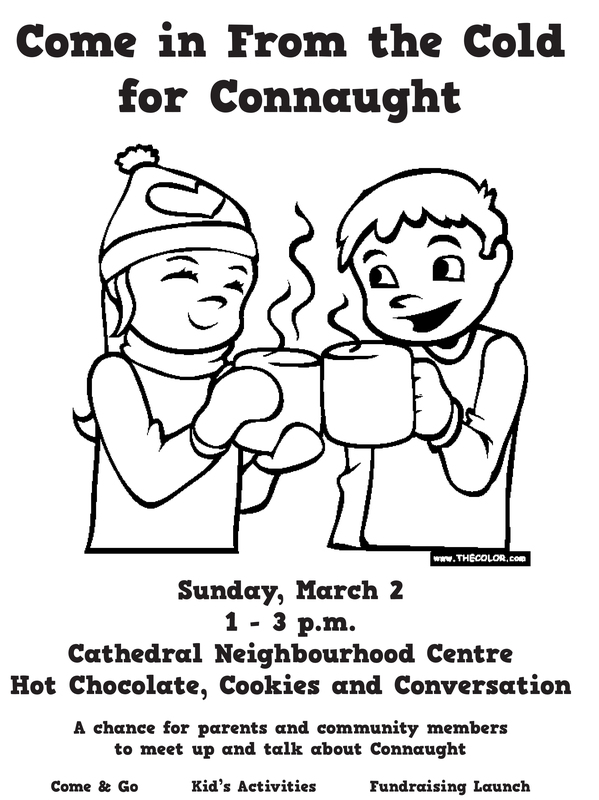 Connaught School supporters will be fighting an eleventh hour battle to keep their school open tonight. Trustees will consider a recommendation to close the school in June, based mainly on liability and insurance issues. 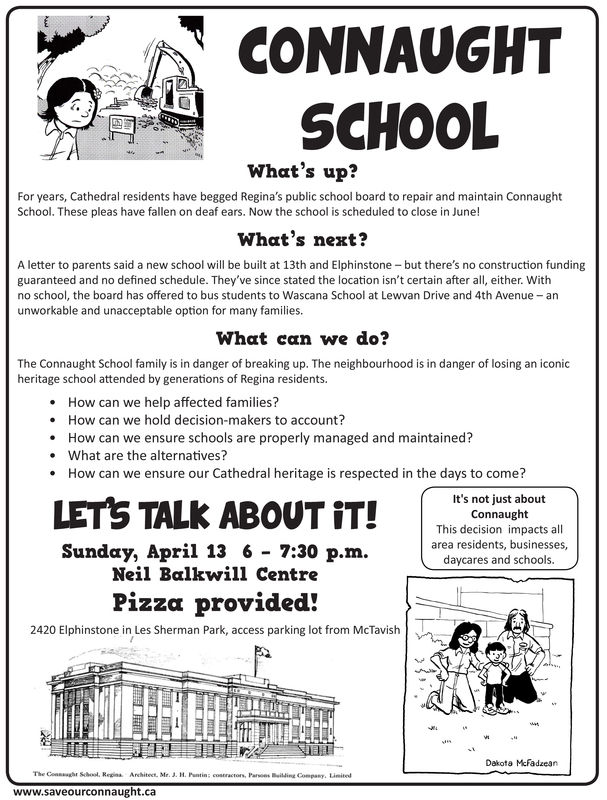 A recent community survey shows the vast majority of Connaught School families and residents want the school to stay open and they want to be involved in developing a satisfactory renewal plan. The province recently approved funding for renewal planning but Regina Public won’t get a budget approval for construction until April 2015 at earliest. Parents have raised concerns that the rush to relocate Connaught students into hastily organized facilities is more costly than making recommended repairs to stay open, and will put their kids’ health and learning experiences at risk. As well, a poorly planned transition is poised to jeopardize future enrolment viability. A Cathedral Area parent has launched a fundraising campaign to finance the repairs needed to keep Connaught School open in September. Kate Smart decided to take action after learning it would cost only an estimated $20,000 to satisfy an engineer’s recommendation for safe school operations in 2014-2015. Cathedral Area residents will gather at the Connaught School gym this Tuesday evening to discuss options for the school’s future with school board administrators. An engineer’s report states repairs to the front steps and a portion of the southeast corner must be made if the school is to remain open in September. At a meeting with school council members last week, a board representative said the repairs are estimated to cost about $20,000.